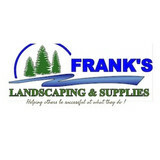 Frank’s Landscaping and Supply is a privately-owned, full-service landscaping company serving Michigan. Whether it is a homeowner who needs custom landscape design and installation, a large office development, shopping center, or a town home community requiring specialized and individual attention, our professionals are committed to Landscaping Your Lifestyle. 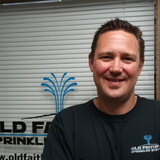 We have been in business since 1990 specializing in sprinkler systems and outdoor lighting service and installation. 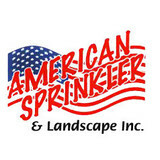 American Sprinkler & Landscape Inc.
American Sprinkler & Landscape Inc. was established in 1986 with the focus of achieving a higher standard of quality and customer service than previously found in the industry. Over the years, we have evolved into a proven leader in our profession. We offer customers a complete and efficient line of irrigation products and pride ourselves on a thorough understanding of the words “service and accountability." We are a company you can trust. 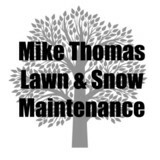 We are a nationally accredited, recognized, and award winning leader in the landscape beautification, maintenance, enhancement and certified snow removal contractor. We know what it takes to provide impeccable service to your grounds, through knowledge, state-of-the-art equipment, and professionalism. If you have the appreciation for the excellence of beauty and detail, it is time to experience the services of Executive Property. No matter what size the property, our staff provides services as if it were our own. We make sure all details are covered when it comes to enhancing the beauty of your property. As your contractor, we tailor contracts to fit your property and your budget. Whether it is a home site or a corporate park, Executive has your properties' best interest in mind, AT ALL TIMES! Dynamic has become quite a “family affair” over the last thirty years. Chris’s strong family values have brought several of his siblings as well as his children to be part of the next generation at Dynamic. While customer service; quality; and integrity were what Dynamic was founded on, faith and family are equally as important. Chris is very active with his church and other community charities, and believes that giving back is of great importance. Even though Chris started Dynamic in the 1980’s by himself, his motto today is all about the “team” of experts he has surrounded himself with over the years. This “team” effort is what made Dynamic so successful over the years, and this same approach will continue there success in the future. Our services and superior customer service are top of our field. Whether you are interested in our comprehensive lawn fertlization program, our tree and shrub care programs, pest control applications, or any of our other services. Ready to schedule services? You can request a quote now and take advantage of our free 12 Step Lawn Analysis. If you still have questions, contact us now to find out more about how we can help you take the next step to a more natural lawn. Daily Rain, Inc., has been the premier provider of residential and commercial irrigation services to the southeast Michigan and surrounding Midwest areas since 1996. We offer full or seasonal maintenance programs for all residential and commercial automatic underground irrigation systems. Effective irrigation is only the beginning foundation to a beautiful landscape! We also offer services such as landscape lighting and rust removal. We offer our clients more than twenty years of experience and a commitment to quality and service that is unmatched. Trost Irrigation is a full service irrigation company founded in 1975 and incorporated in the state of Michigan in 1979. Terry Trost worked hard, started out small and has grown to become one of the largest irrigation companies in Michigan. Trost has developed a well-respected reputation in the industry that has led it to become successful in other markets as well. Garden design, installation and maintenance company serving Essex County. We can design beautiful gardens, install the landscaping and maintain all with keeping the environment in mind. Whether its a butterfly garden, drought tolerant or modern landscape. Top Lawn seeks to provide quality lawn, tree and pest services that enhance the quality of life of our customers and add to the value of their homes and properties. We strive to provide a healthy work environment where people are encouraged to grow in skill, knowledge and prosperity. We are committed to being a company that is reliable, accountable, and personable. We are determined to establish and maintain a company name that is synonymous with quality service, expertise, and professionalism. Do you get yard envy when you see your Redford neighbors’ lush garden, and bemoan your lack of a green thumb? If you want a bountiful yard without doing a bounty of yard work, hire a gardener in Redford, MI! From lawn maintenance to plant cultivation to weeding to general landscaping, Redford, MI gardeners have the expertise and experience to create an abundant garden for you that will be the cause of neighborhood yard envy! In addition to the maintenance side of gardening, Redford, MI gardeners can help you with garden design and choosing specific plants and grass types for your climate and area. Find a Redford, MI gardener on Houzz. Narrow your search in the Professionals section of the website to Redford, MI gardeners. You can also look through Redford, MI photos to find examples of yards that you like, then contact the Michigan contractor who worked on them.